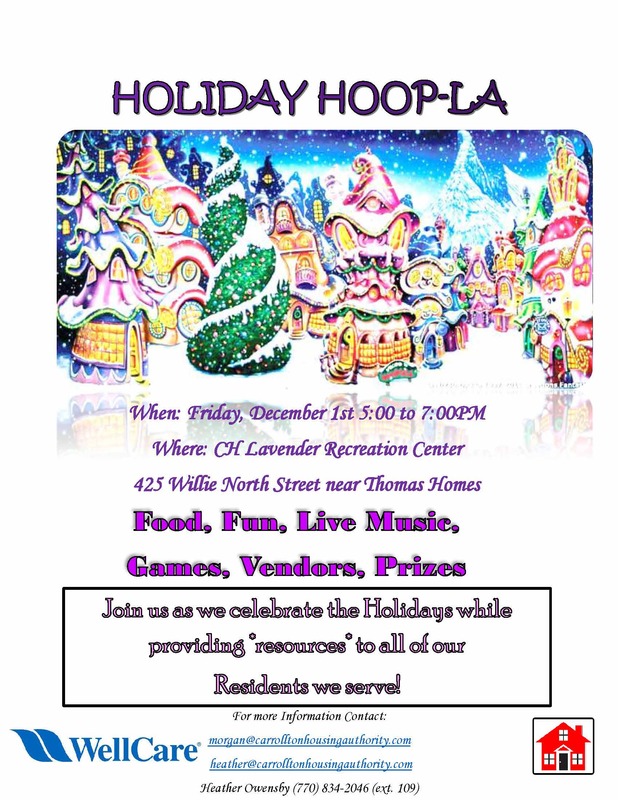 The Carrollton Housing Authority is excited to announce its 1st Annual Holiday Hoopla- Resource fair for Friday, December 1st, 2017 from 5-7 pm at Catherine Hardy Lavender Recreational Center in Carrollton, Georgia. This year’s event will focus on celebrating the holidays with our residents in which we serve, along with providing valuable resources to them as well. We hope to connect our residents to valuable resources within the community they reside in, all while celebrating the Holidays and having fun!